Learn to spin and ply in a half a day workshop with Debbie Zawinski (aka The Feral Spinner) author of the book In the Footsteps of Sheep. Using the simplest of tools, you will learn to spin with a spinning stick, the Feral Spinner way! You will go home with a small skein of yarn at the end of the workshop. There will be a 30 minute break in the middle of he class to pop out for a bite to eat (there is a cute cafe across the road) or you can bring a packed lunch. All materials supplied with the workshop. Perfect for beginners or those looking for a new technique! Please note payment is required to book in to this workshop, and is non-refundable. It has a flattering curved empire line waist, flaring softly to the hem. Wear this short tunic over trousers or leggings. But when you’ve made one, you’ll be able to make a flirty knee-length or an elegant mid-calf length dress. The sleeves are short and there’s a scoop neck. Being able to sew this T-short style band is a really useful technique to know when you are sewing knit fabric. You must be competent using an overlocker and be able to bring your own overlocker to the class. You can do some finishing off with a conventional sewing machine but I have these in the studio. I’ve designed this class to be a follow-on from my very popular ‘Know Your Overlocker’ class. If you are not sure about sewing with an overlocker, then please try that class first. This Kids After-school Sewing Course is a suitable follow-on from the Kids introductory sewing class. It will build your child’s foundation sewing skills. And they will make some easy sewing projects. Introductory classes are held during school holidays or can be arranged on a 1:2:1 basis. There is a term-time after-school course of 1.5 hour sessions over 6 weeks. Children aged 8-12 years. For their own safety, children must be able to place their feet flat on the floor when sitting on a chair 45cm in height. If they can’t, they will not have full control of the sewing machine and will not be able to take the class. each project offers progressive challenges. Projects may include bunting, tote bags, cushions, machine and hand embroidery. I can advise on buying a sewing machine either for your child or yourself. Taught by a lifelong sewist with over 40 years experience across dressmaking, tailoring and bridalwear. Recently rated ‘Best sewing classes in Edinburgh. Artisan Stitch has won a certificate of Excellence and has been rated ‘Best Sewing Classes in Edinburgh’. 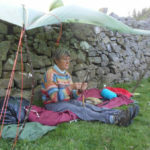 Jen has over 40 years sewing experience and over 20 years in a teaching role. Artisan Stitch has won a Certificate of Excellence and rated ‘Best Sewing Classes in Edinburgh. Jen has over 40 years sewing experience and over 20 years in a teaching & training role. The Beginners sewing course XL is an extended version of the classic Beginners sewing course. It is a 6-week evening course, so there’s two extra projects to make. This extra sewing practice makes a huge difference to your sewing skill and confidence. 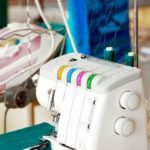 It is a good starting point to learn expert sewing techniques whether you want to progress into dressmaking, soft furnishing or craft projects. It’s also a great refresher if you’ve not sewn for a while. You’ll learn how to understand sewing machines, get experience of using different stitch types, learning about stitch lengths, widths and tensions. I’ll explain what the different presser feet are for and you’ll learn how to measure and cut fabric. I’ve been sewing since I was a child and that’s a lot of years experience. During that time, I’ve made every mistake in the book and learnt how to avoid them. Now you can benefit from my mistakes and learn to sew like a pro as I share my expert tips. I wish I’d known all this stuff when I started to sew. Artisan Stitch won a Certificate of Excellence in January 2019 and is rated ‘Best sewing classes in Edinburgh’.